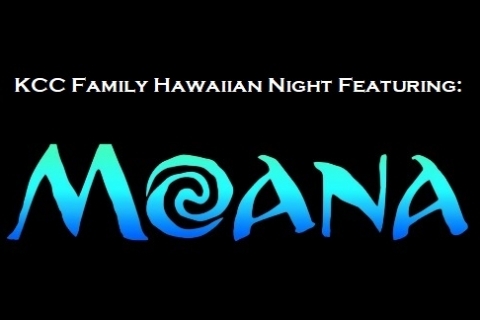 Friday, January 25th at 6:00 p.m.
Come enjoy Family Hawaiian Night at KCC and enjoy Disney’s Moana! Register with Judy at 269-345-6149, ext. 120, or email judy@kalamazoocc.com.